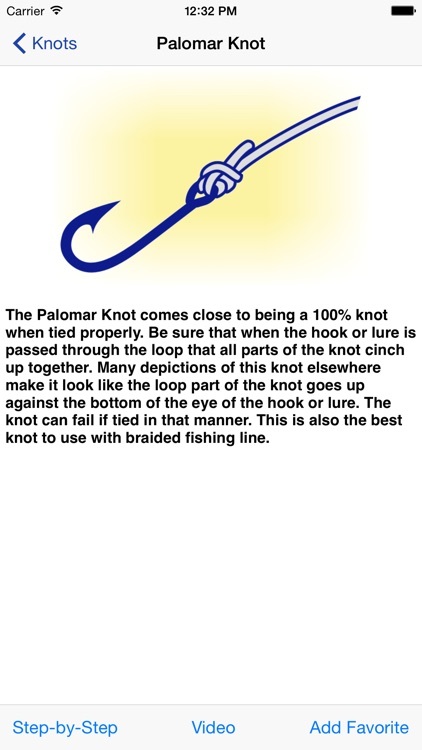 Sometimes when camping you needs to know how to tie a great knot. 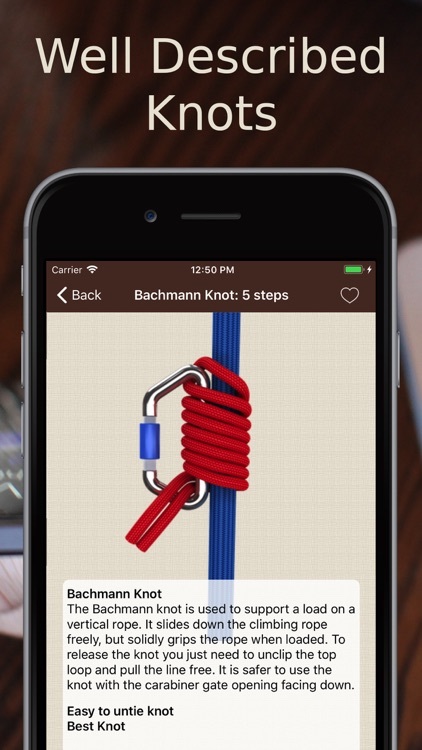 These apps are just for teaching you to tie the correct knot for the right thing. 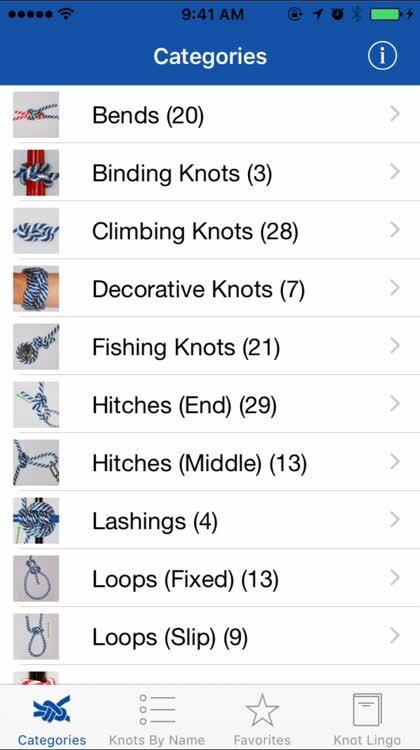 Learn how to tie more than 40 essential knots with this reference app. 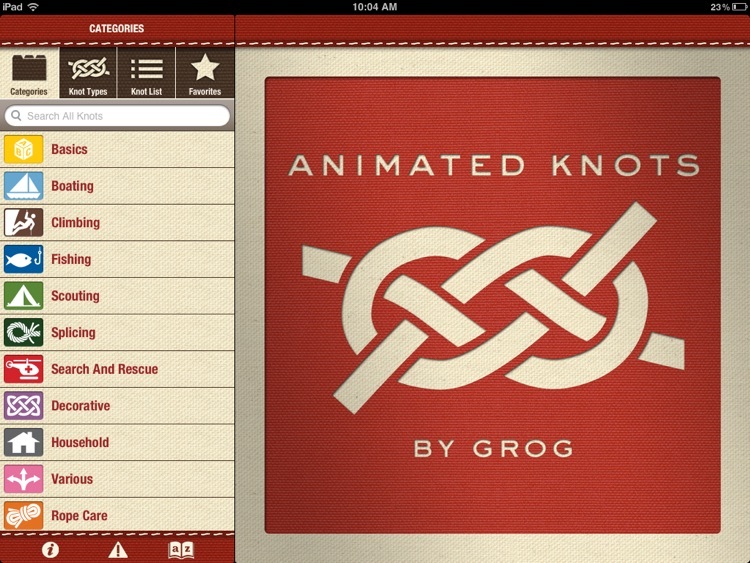 Knots Guide for iPad is very similar to the essential app Knot Guide. It is created by a different developer and it shows. 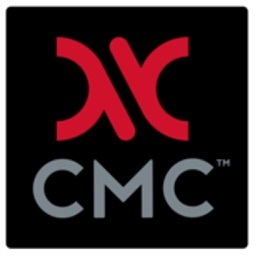 This app does not have the high polish that the other one has. The images in many cases are fuzzy and not clear. The positive of this app is that it is free. 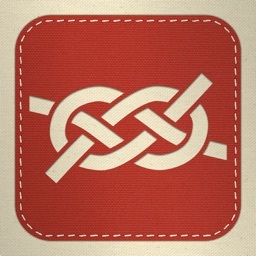 The information and images make this app hardly worthwhile though it is free. 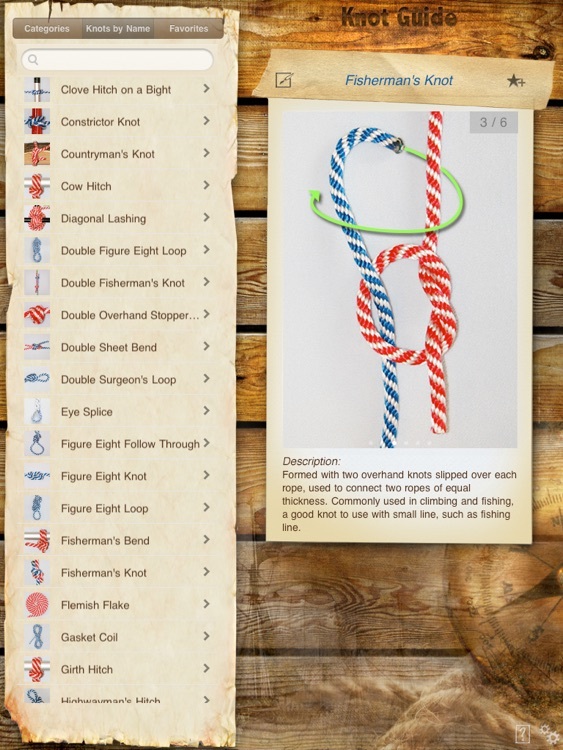 We compiled an amazing manual full of knots for rope and ties! 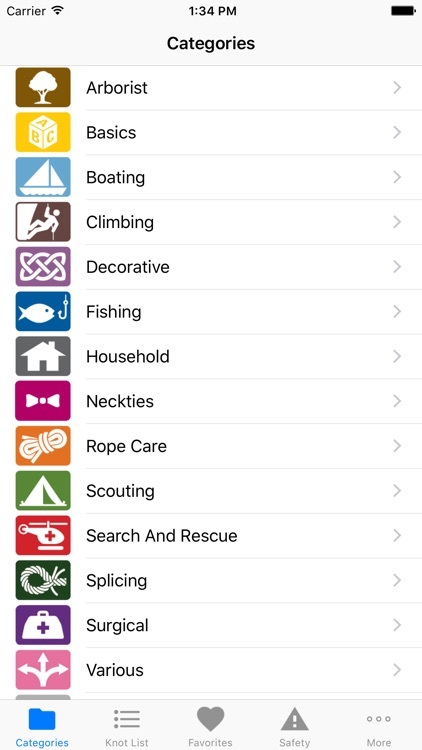 You will love our huge catalogue which is perfect for many purposes. 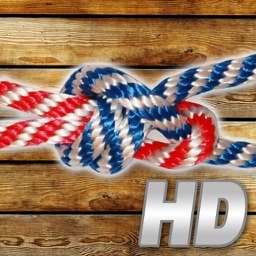 + Rope knots, over 250 instruction images! + STEP by STEP instructions. 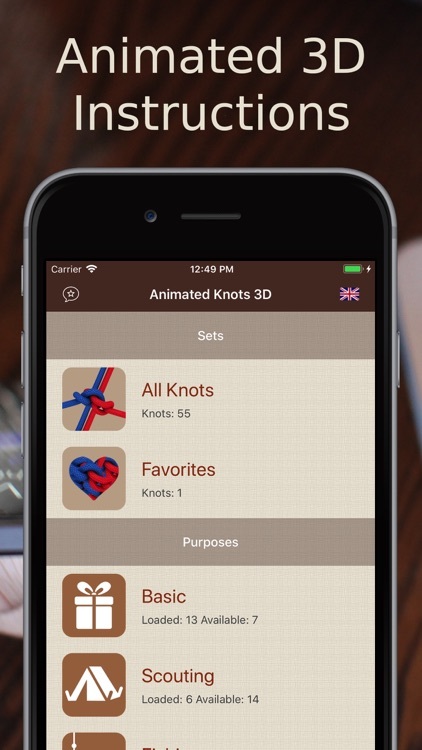 Knots 3D Guide app will be your personal assistant in the complex craft of knot tying. 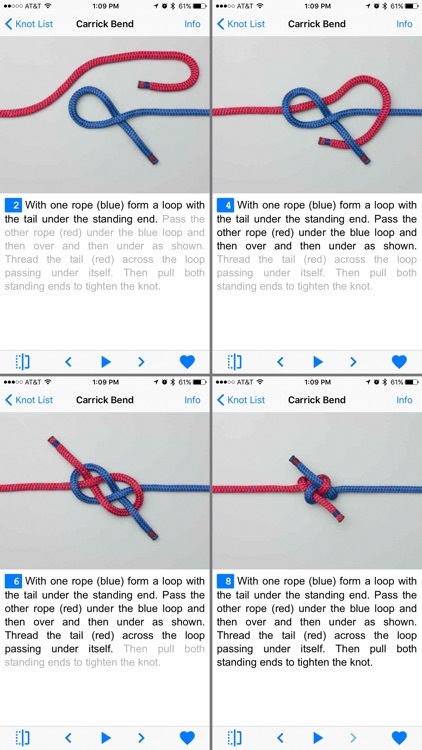 Knots 3D Guide step-by-step instructions won’t let you get confused, and a straight-forward classification system will help you find the required knot quickly and effortlessly. 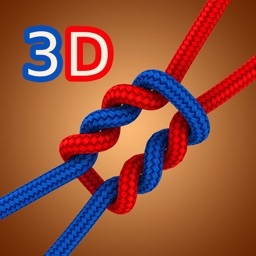 Knots 3D Animated Knots Tap the info button to get detailed descriptions about each knot's correct use, advantages and disadvantages, and other information. 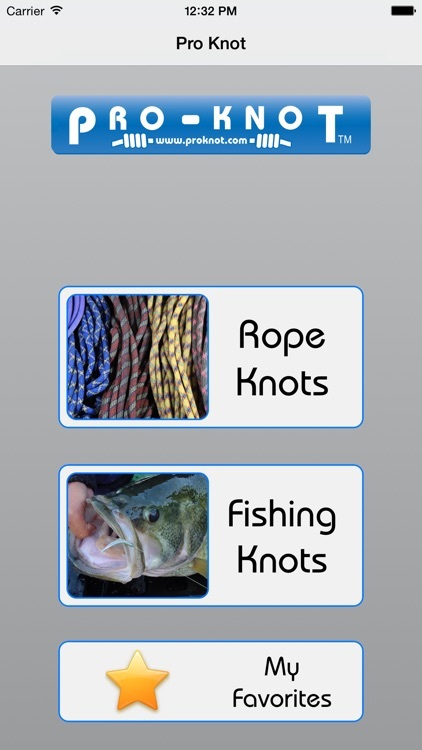 Once you have downloaded the app Knots 3D they will be at hand in your mobile device wherever you are – fishing at a lake, climbing a mountain or just staying home with your everyday household chores. 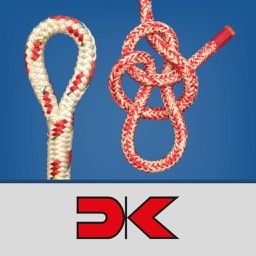 Animated Knots 3D is simply the best, most comprehensive teaching and reference tool for boaters, climbers, fishermen, scouts and hobbyists. 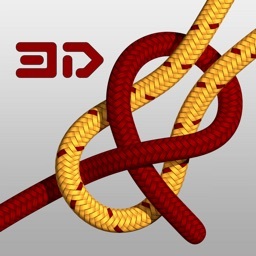 Knots 3D is categorised in 4 chapters: line, hook, misc and boating knots. 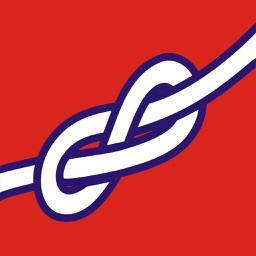 Useful Knots - Tying Guide are categorised by type and each knot has a description and step by step instructions with pictures and guide on how to tie it. 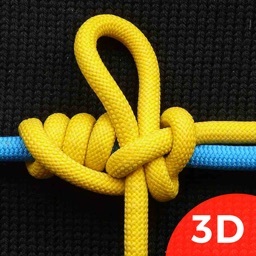 Knots 3D includes the following knots: Alpine Butterfly on a Bight, Adjustable Bend, Arbor Knot, Bachmann Hitch,Bowline on a Bight, boating knots, climbing knots, different tie knots, how to tie knots, animated knots, fishing knots, fish knots, fishing reports, fishing spots,Cleat Hitch, Clove Hitch, Constrictor Knot, Figure Eight Knot, Figure Eight Loop, Fisherman's Bend, Fisherman's Knot, Flemish Flake, Gasket Coil, Honda Knot, Improved Clinch Knot, Lariat, Mooring Hitch, Pile Hitch, Rosendahl Bend, Round Lashing, Running Bowline, Sailor's Gripping Hitch, San Diego Jam Knot, Shear Lashing, Sheepshank, Sheet Bend, Stevedore, Surgeon's Knot, Tumble Hitch, Turk's Head 3L5B, Turle Knot, Two Half Hitches, Zeppelin Loop. 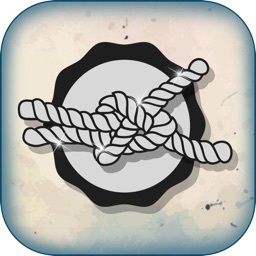 * Clear and easy Knots 3D– just follow simple instructions and pictures, and you'll be able to tie a pretty tie knot on your own! 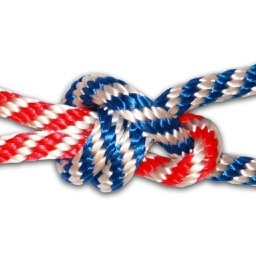 With „Knots & Splices“ you will learn all the important knots and tricky splices the easiest way possible. 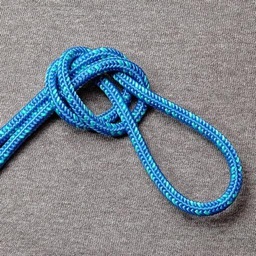 In clear videos the author himself fabricates the knots and splices with his own hands in front of the viewer’s eyes explaining and commenting each step. 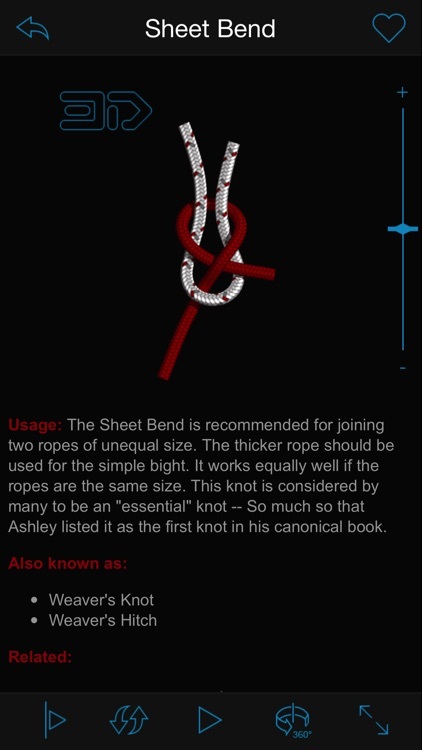 You can test the first chapter of “Knots & Splices” FREE OF CHARGE and you only pay via In-App-Payment for your choice of additional videos. 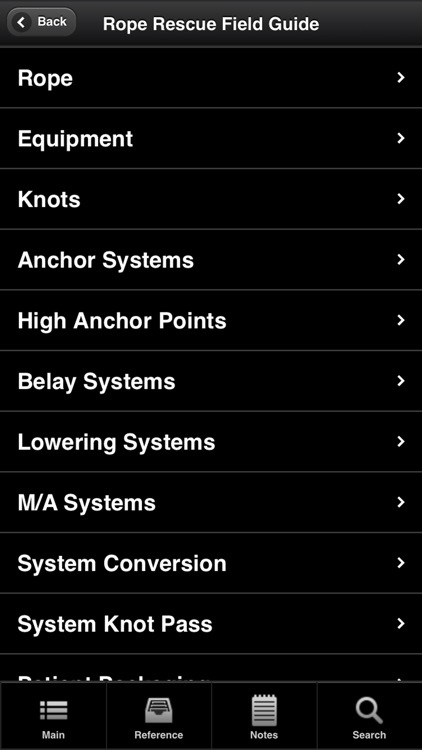 A list with all the available knots and splices and the corresponding prices will be shown at the end of this text. 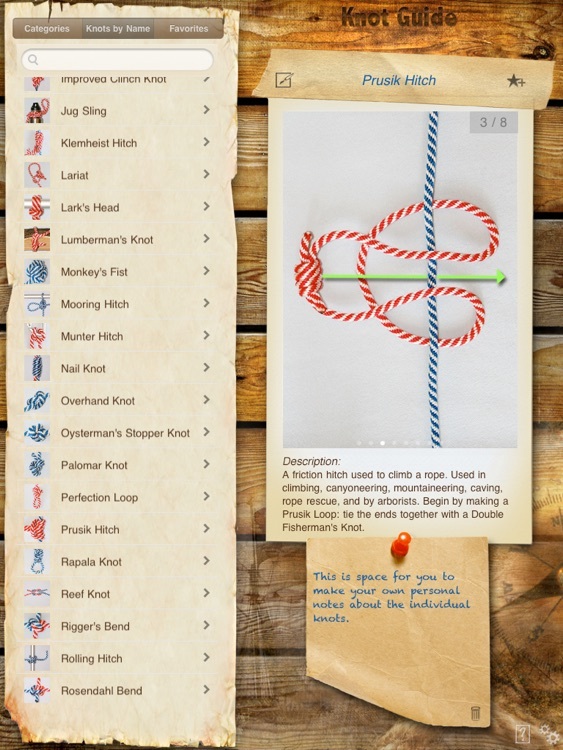 You wish to learn the most useful seaman or climbing knots? 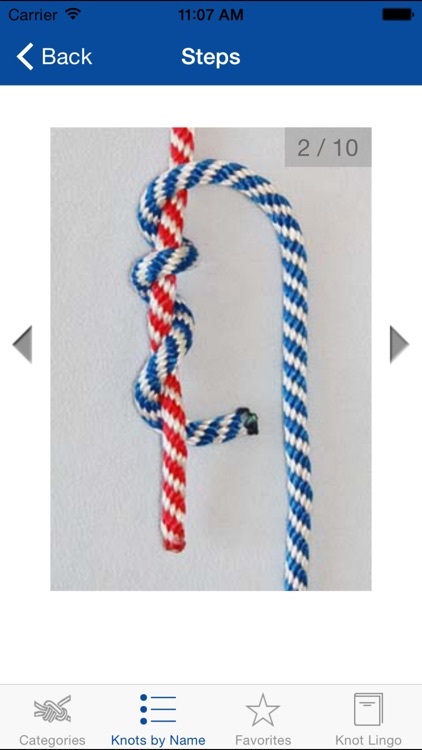 Make your own regatta-style soft shackles? 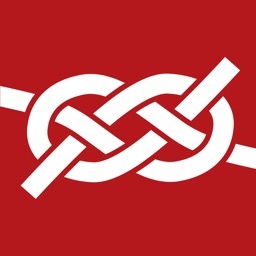 Master complicated splice techniques? Or, for example, you cannot remember how to start on an eye splice? 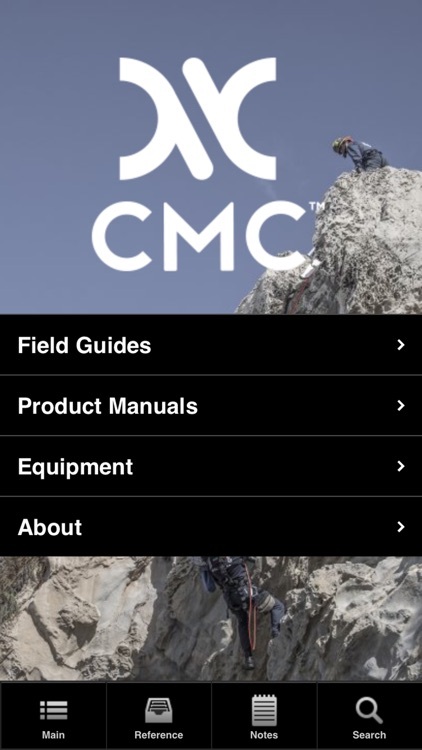 No problem, with this app you will find help – no matter if you are beginner or advanced.